Fit and athletic body shape requires constant training. Professional athletes are constantly keeping on track and do not give themselves any indulgence. Therefore, various outdoor sports grounds are popular. The Inter Atletika offers a professional multi fitness equipment. Such outdoor exercisers allow you to workout anytime in the fresh air. The Inter Atletika has the best solution for you. The structure consists of exercisers for different groups of muscles. 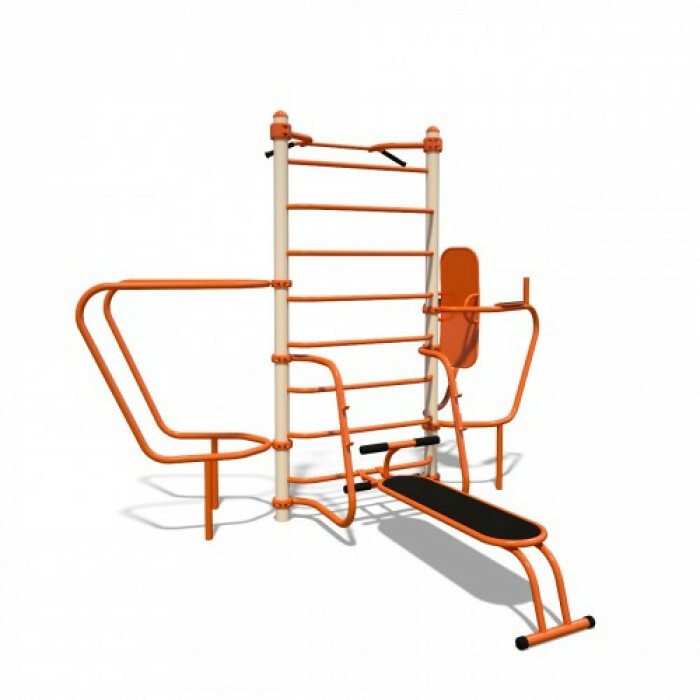 In particular, the set includes a pull-up bar, parallel bars, an abdominals bench, a wall bar, an abs exercises support rack. Multifitness Gym is a perfect solution for group classes outdoors.Multifitness Gym offers different ..